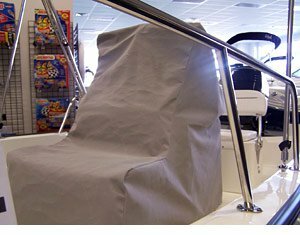 This custom-fit center console cover will cover the console and the cooler. Made from high quality Sunbrella material, the best in the industry! To use the cover, all you need to do is set the screw studs, and complete the installation!